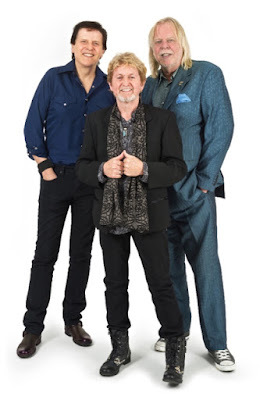 Yes veterans Jon Anderson, Trevor Rabin and Rick Wakeman have announced dates for a North American tour following their induction into the Rock And Roll Hall Of Fame on April 7. 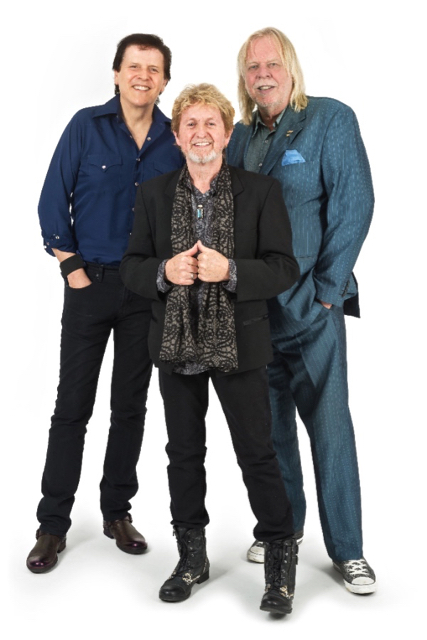 Officially billed as Yes Featuring Jon Anderson, Trevor Rabin, Rick Wakeman, the trio first regrouped for a US trek last year and some select UK and European dates under the banner Anderson Rabin Wakeman (ARW). Now they return to North American for a 7-week run of shows starting in Stockton, CA on August 26. Band co-founder Anderson and Wakeman are predominantly associated with the 1970s "prog era" of the band while Rabin helped propel the group to mainstream success in the 1980s. The group’s touring lineup is rounded out with a rhythm section featuring bassist Lee Pomeroy and drummer Louis Molino III. The Yes trio will be recording new material throughout the summer for a projected album release of early 2018, while a DVD of the final UK show of their recent European tour will be released later this year. The 2017 shows will see Anderson, Rabin and Wakeman touring North America at the same time as Yes, which includes veterans Steve Howe and Alan White. That lineup recently revealed plans for a US tour dubbed Yestival that will feature guests Todd Rundgren and Carl Palmer's ELP Legacy.